Twenty four students from five of the nine different provinces in South Africa namely; KZN, Western Cape, North West, Mpumalanga, and Limpopo recently graduated after completing a six month Bridging Course Programme: Introduction to Conservation and Environmental Education at the Southern African Wildlife College (SAWC). 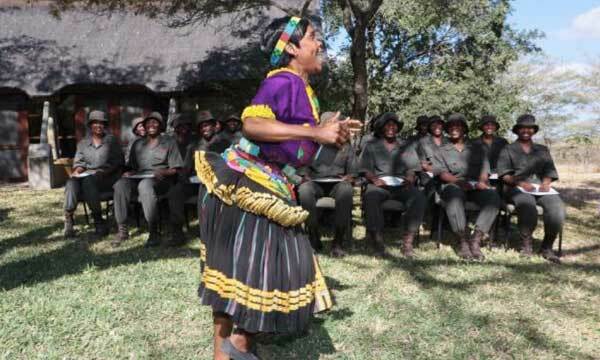 The course focuses on exposing learners from historically disadvantaged backgrounds, to the theory and practical application of environmental education and to the life of a field ranger in a conservation area whilst also imparting leadership skills. Learners undergo a contact training session at the College for four months and then are work-placed in host conservation organizations for two months to get a real understanding of an entry level career in conservation and to gain valuable field experience. During this time the learners actively participate in daily patrols, field operations, and the collection of field data, compiling field reports, game capturing/releasing, reporting procedures and attending poaching court cases. Introduced as the SAWC’s first ‘school leaver” programme in 2010, this course has opened doors for a number of youth in South Africa. 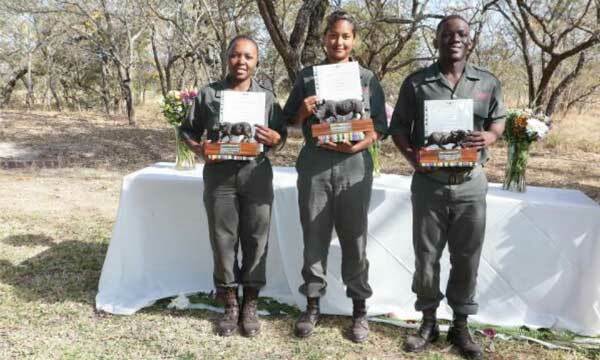 “Not only does the training expose learners to the importance of conserving our natural heritage, but it also gives them an opportunity to pursue a career in conservation or go on to further study,” said SAWC CEO Theresa Sowry. “Because of human greed, many species are disappearing and the environment is under serious threat. We need young people like yourselves to interrogate capitalism and its related practices and to come up with new models for development. Already we are seeing youngsters graduating from this programme making an impact on the bigger playing field which is both exciting and humbling,” he added. During the ceremony three students were presented with awards for their dedication and hard work throughout the six month programme. The awards went to Sakhile Ngubonde for the Best Field Ranger Leaner; Priscilla Thumbu for the Best Environmental Education Leaner and Kristin Ewers for the Best Learner Overall. The primary objective of the Southern African Wildlife College, which is located 10km west of the Orpen Gate to the Kruger National Park, is to provide people from Africa with the required motivation and the relevant skills to manage and conserve their protected areas and associated flora and fauna on a sustainable basis in cooperation with local communities. In doing so, the College aims to ensure that the region’s rich biological diversity is conserved and that the parks, if well managed, become focal points for rural development and economic growth thereby breaking the poverty cycle and making a substantial contribution to the economic activity in the region.